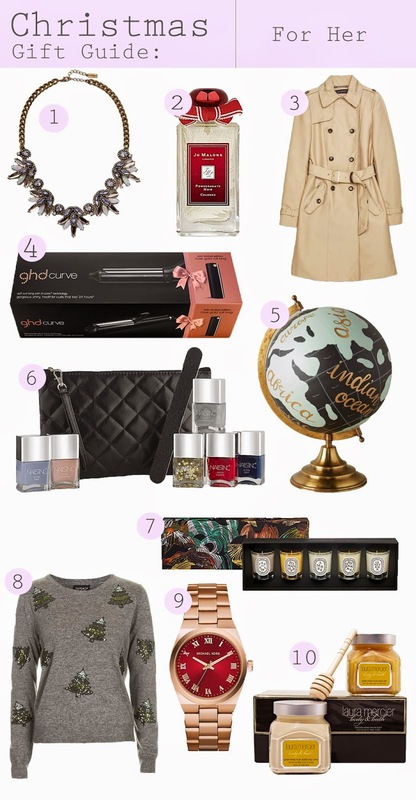 For my first gift guide of 2014 I have rounded up some of my favourite finds that I think would make gorgeous gifts for someone special. I have to say, I think 1, 2 and 3 are my favourites from this list...I would be a very happy girl if I found any of them under my tree. I hope some of these suggestions will be a help to you if you are just starting your Christmas shopping, or maybe help as inspiration for other ideas. Or... even if you just want to treat yourself! Next up will be "Gifts for Him". great gift guide!!! i'd be over the moon getting any one of these heheheee especially number 7 - ohhh that gorgeousness! Oh I know, its a gorgeous little set! It would make such a lovely gift.